Mary McDowell Friends School (MMFS) screened Far from the Tree, a compelling and thought-provoking film, based on Andrew Solomon’s award-winning book Far From the Tree: Parents, Children and the Search for Identity, on November 15th. Despite the unseasonably bitter winter storm, it was well-attended. 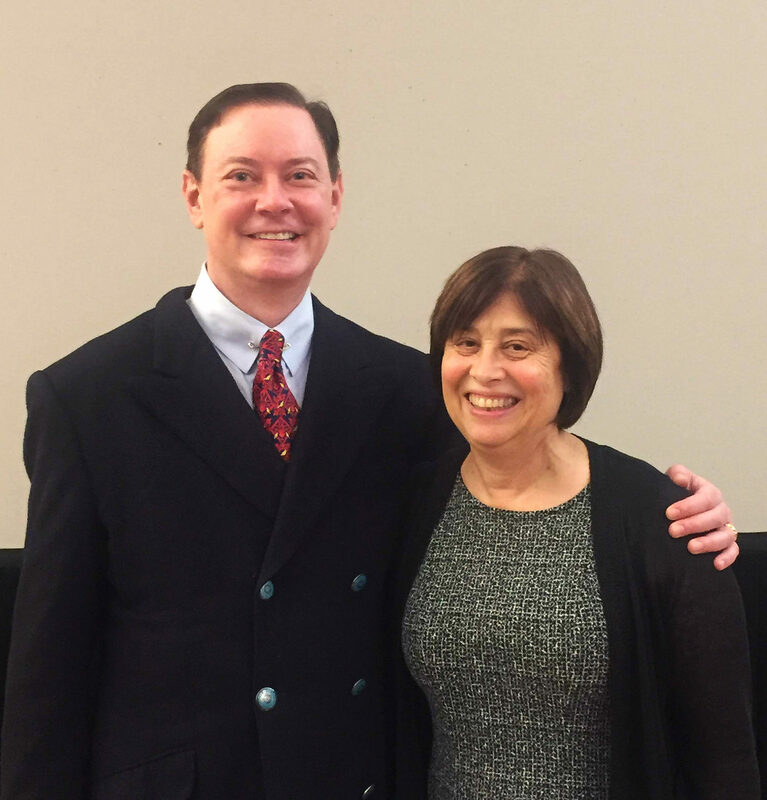 The film was followed by an enlightening conversation with Andrew Solomon. Andrew had spoken previously at MMFS: he presented as a part of the MMFS Parents Association Speaker Series in 2013 and he received MMFS’s Adam’s Prize in 2017. Adam’s Prize is awarded to an individual whose triumph over learning challenges as a child and/or whose exceptional work on behalf of such children merits public recognition. Debbie Zlotowitz, MMFS’s Head of School, introduced the film calling it, “a profound exploration of the power of love and acceptance to transcend all differences, no matter how seemingly insurmountable or difficult.” The film was moving, eye-opening, and instructive for everyone. The most important takeaway for parents was that, with love and supportive relationships, a child can have a fulfilling and meaningful life regardless of the challenges she/he/they face. Reflecting that 40 years ago being gay was considered an illness to be cured and now it is an identity to be celebrated, Andrew cautioned, ”There is a thin line between what to cure and what to celebrate.” The film explores this issue within the little people community. Currently a promising drug that blocks achondroplasia is in trials. Many within the little people community feel that, after years of fighting, they have achieved a level of acceptance for who they are, and now they feel this drug opens up the conversation again about whether they need to be fixed. Before opening the floor to questions, Andrew shared with the audience that it was quite a revelation to him how very different the requirements were for a film than those for a book. By necessity, the book recounted stories that had already taken place, whereas the film needed to tell stories that were still unfolding. He also found the intimacy of visual storytelling quite different from the distance inherent in writing. Audience members lined up afterwards to speak with Andrew, have him sign books, and be photographed with him.